This entry was posted in Fall Colors, Nature, Poetry and tagged clouds, haiku, Water. Bookmark the permalink. All of the orange leaves have now turned to brown, so I guess the sky picked up the orange theme in memory…. Just beautiful. Looking forward to your next poem! The photo is breathtaking! Thanks also for stopping by my blog. Thanks Barb. I enjoyed looking through your photos and seeing the beautiful changing skies outside your window at the Sooke Harbour House on Vancouver Island. 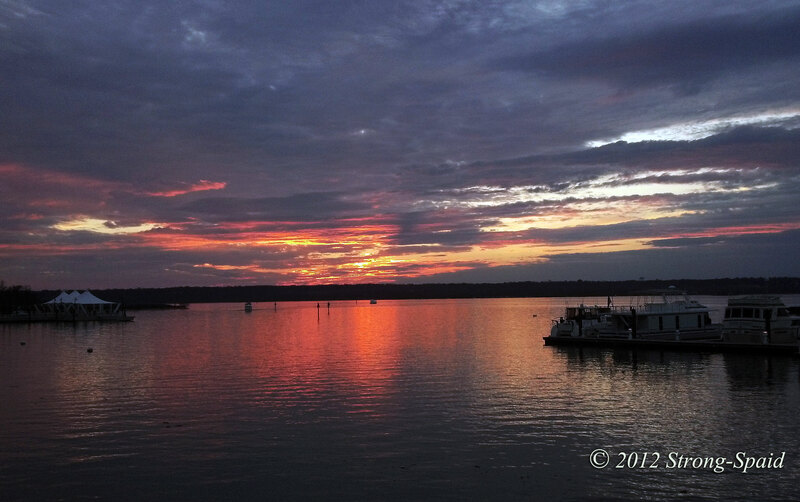 My “orange autumn sunset” was taken at the National Harbor in Maryland (close to Washington, D.C.). Nice pic, very fitting with the poem. Excellent diction as well! Thanks so much for the compliment, Patty!